Sixteen million tons of textiles ended up in a landfill in 2015, according to the EPA. Melanie Reyes, a fashion designer based out of Springfield, has made it her mission to waste less and conserve more in the fashion and textile industry. In April of 2018, Reyes launched Wasteless Apparel, a zero-textile waste business. Not a single scrap of fabric is gone to waste. Reyes graduated in May 2018 as a fashion merchandising and design major. After graduation, she began selling her garments with the mission to promote ethical, sustainable fashion. “We hear stories all the time about climate change and pollution," Reyes said. "It's 2019 so I don’t see how brands wouldn’t want to be sustainable and be more recyclable." She creates clothing for men and women, which she sells through a website. Her garments are wide-ranging in style --- she sells vintage-inspired apparel, activewear, and seasonal/holiday garments. Morgan Carleton, a sophomore professional writing major, is a model for the Wasteless brand. She has been involved with the brand since the fall of 2018. “Sometimes we forget that we can take old fabric and old clothes and turn it into something that fits the trend of the day,” Carleton said. Reyes often uses antique fabric to create new garments for her brand. 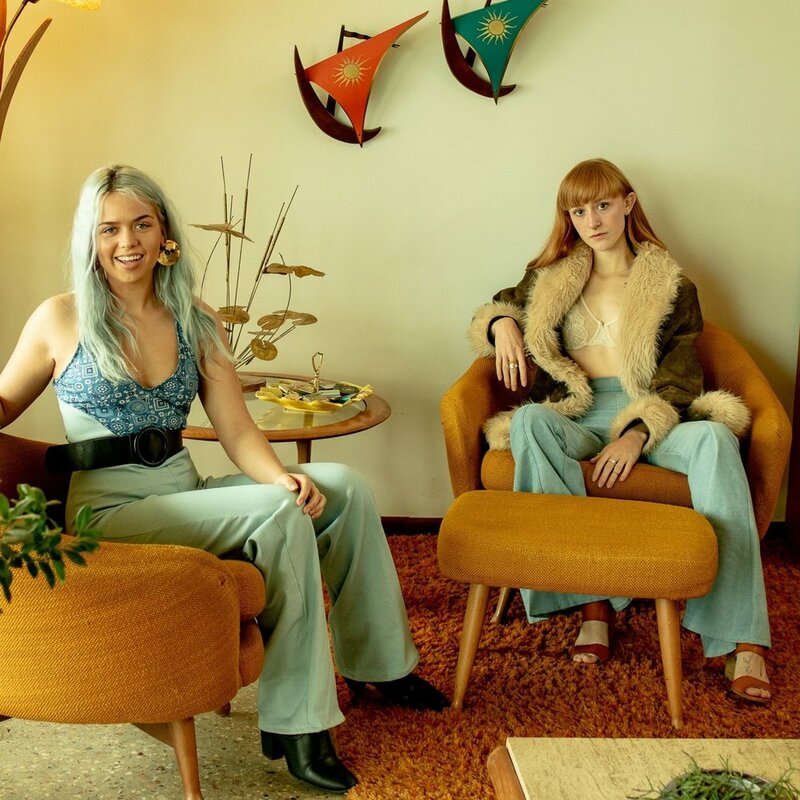 Recently, Reyes collaborated with Dogwood Curated Vintage, a store that sells vintage clothing, decor, and furniture. “I got fabric from her store, it was vintage corduroy and I did a photo shoot where I made a jacket and she styled the rest,” Reyes said. In the future, Reyes said she would like to collaborate with other local brands. “I’d love to do a collaboration with Springy Jeans if I could take their denim that’s too worn down to sell, and just rip it up and upcycle it and make some cool stuff with it,” Reyes said. Because she is constantly producing garments for her shop, Reyes says she has about 20 boxes of fabric in her attic. “I like to go back in those boxes and grab things from them and put them in new works,” Reyes said. Currently, Reyes is packing boxes of scrap fabric to send to a company called TerraCycle. TerraCycle recycles textiles and turns them into insulation and pillow stuffing. Carleton says she admires that Reyes practices what she preaches when it comes to sustainable fashion. “I’ll ask her where she gets something she’s wearing and she’s always thrifted it," Carleton said. "It’s cool that she’s practicing sustainability in her own life while also creating it." Carleton avoids shopping at fast-fashion stores by thrifting, hemming and sewing items on her own, and buying more high-quality items. Though the mission of Wasteless is sustainability, Reyes says she realizes that for most college students and young people, it is difficult to live entirely sustainably, especially when it comes to clothing. Reyes says there is a right and a wrong way to shop fast fashion. “Make sure it’s an item you know you’re going to keep for a while and you’re going to have many uses for,” said Reyes. Reyes said anyone can practice sustainability whether that means taking shorter showers, avoiding plastic straws or buying secondhand clothing. “I just think sustainability is a very important aspect to have if you’re trying to be ethical as a person,” Reyes said.